He is a graduate of Moody Bible Institute (Biblical Studies) and is currently completing his seminary degree through Moody Theological Seminary. 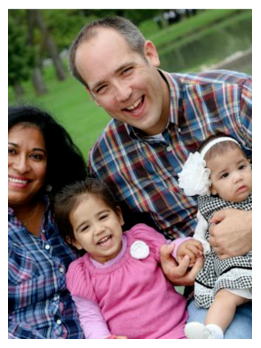 Dan has been married to his wife Deborah since 2004 and they have three daughters, Sofia, Aliyah and Isabella. for the forgiveness of his sins and received Him as Lord and Savior. Since then, Dan’s heart and life continue to be a clay pot in the Great Potter’s hands as he yields to the transforming power of Holy Spirit. Dan’s involvement in the ministry of the local church really began upon graduating from high school. In 1994, Dan completed a children’s ministry internship in Brooklyn, N.Y., where he was directly involved with reaching more than 17,000 inner-city kids with the Gospel each week. Upon his return to Wisconsin, he served in his local church as director of a citywide Sunday School and bus ministry outreach designed to reach children and youths with the Gospel. In addition to ministry through the local church, Dan has served as a youth sports coordinator, tennis instructor, high school athletic director and a sports writer. He is also a popular camp speaker and basketball clinician. 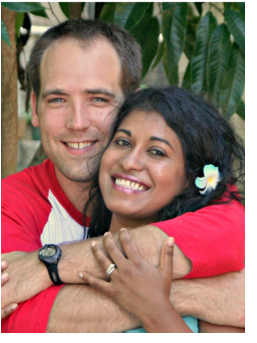 Dan’s passion is to see people respond positively to the gospel and then become devoted followers of Jesus Christ. His favorite activity is doing anything with his wife and daughters, especially eating his wife’s cooking and traveling the world with them. Some of Dan’s favorite authors include: the apostle Paul, RC Sproul, John MacArthur, John Piper, Don Carson, and Paul Tripp. On Dan’s “Bucket List” are attending the Australian Open tennis tournament, taking his wife to Tahiti, and golfing at Pebble Beach. One little fun fact about Dan is that he has been to 49 of the 50 States. The only one still eluding him . . . Alaska!